Arms of Love Mission supported in part by Spirit of the Cross and Birmingham's Covenant Community Church. The mission helps young adults as they adjust to a new life away from gangs. During the 2007 Mission Trip to Nicaragua, Pastor Richard listens to individuals speak during a small group discussion at the Arms of Love Mission. The mission helps young adults as they adjust to a new life away from gangs. Spirit of the Cross supports the mission efforts of Rev. 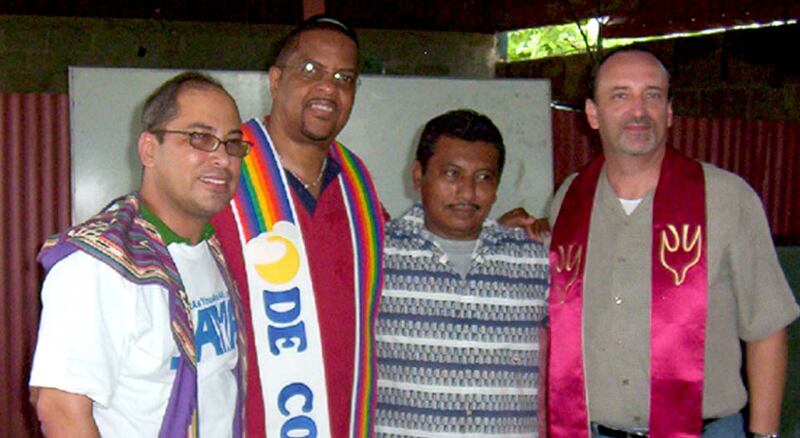 Elder Armando Sanchez and the Chains of Love Ministry in Nicaragua. This mission support is a collaborative effort by Spirit of the Cross and Covenant Community Church located in Birmingham, Alabama..